Sandy the hurricane reminded me of one of my favorite tv shows, Rookie Blue. The main couple on the show is Sam and Andy, or Sandy (in the picture of my tv screen). 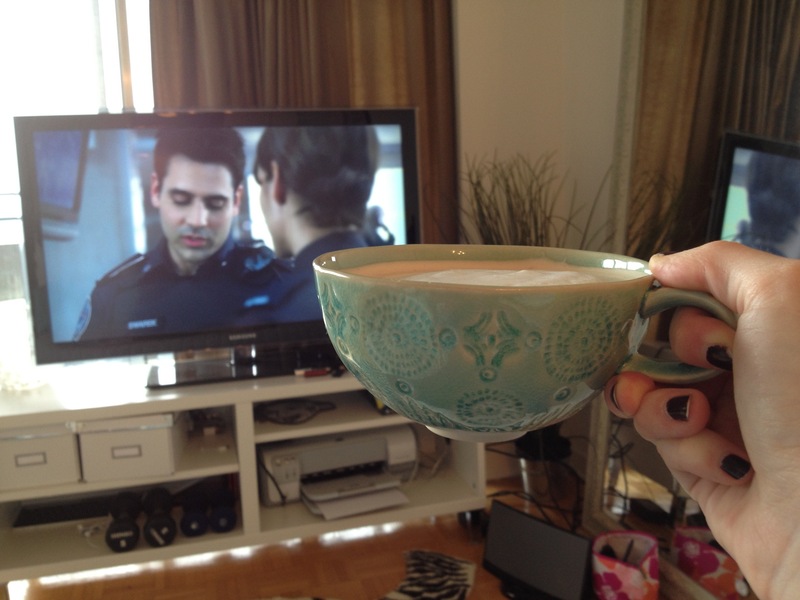 This morning I’m taking it easy, starting the day with coffee and some Rookie Blue. I’ll tackle my to-do list a little later. I’m not going to complain about a hurricane when it gives me an excuse to hibernate a little, and do my assignments from under a cozy blanket. My thoughts go out to anyone affected by the hurricane. I was in Florida earlier this year for a hurricane of barely level 1, and I was scared shitless. We just don’t get winds like that in Montreal.